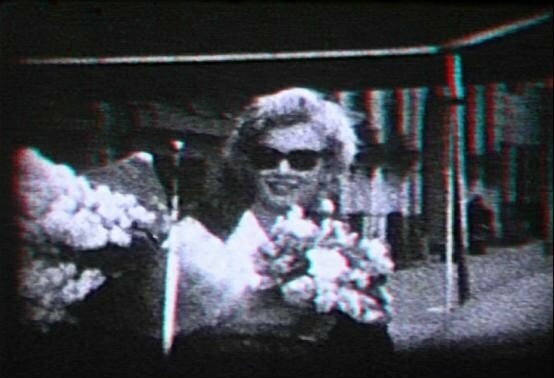 Le 1er juin 1960, une fête d'anniversaire est organisée pour les 34 ans de Marilyn Monroe. 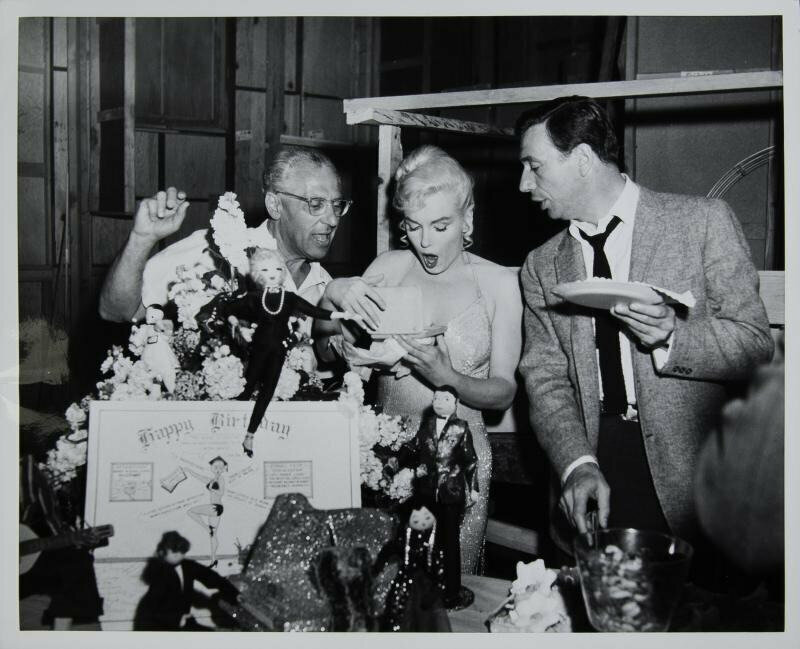 George Cukor découpe les parts du gâteau apporté et sur lequel est disposé deux figurines représentant Yves Montand et Marilyn Monroe. 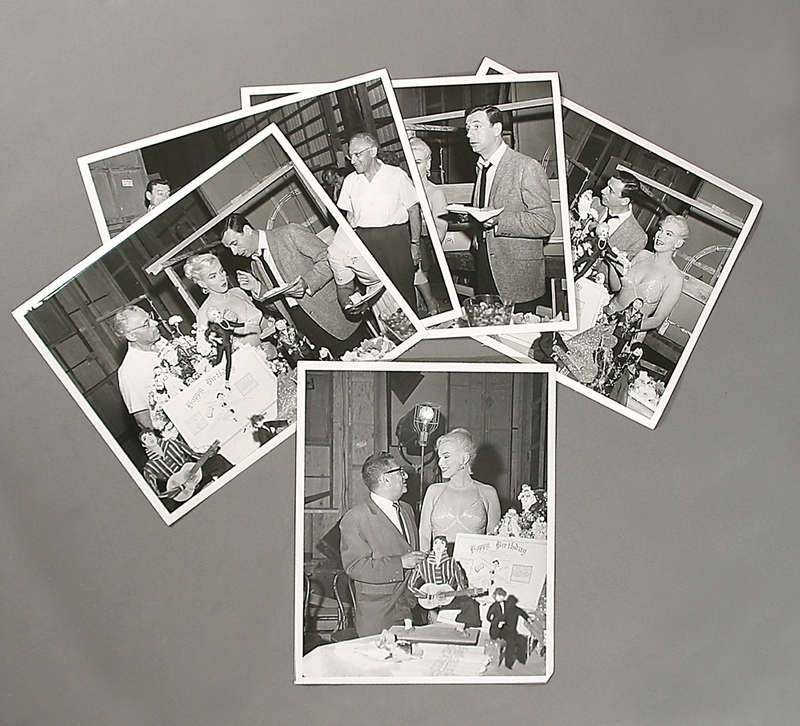 La petite réception est décoré à l'image du film: plusieurs petites figurines sont disposées sur la table, représentant un pianiste jouant au piano, une chanteuse, une danseuse et Elvis Presley. 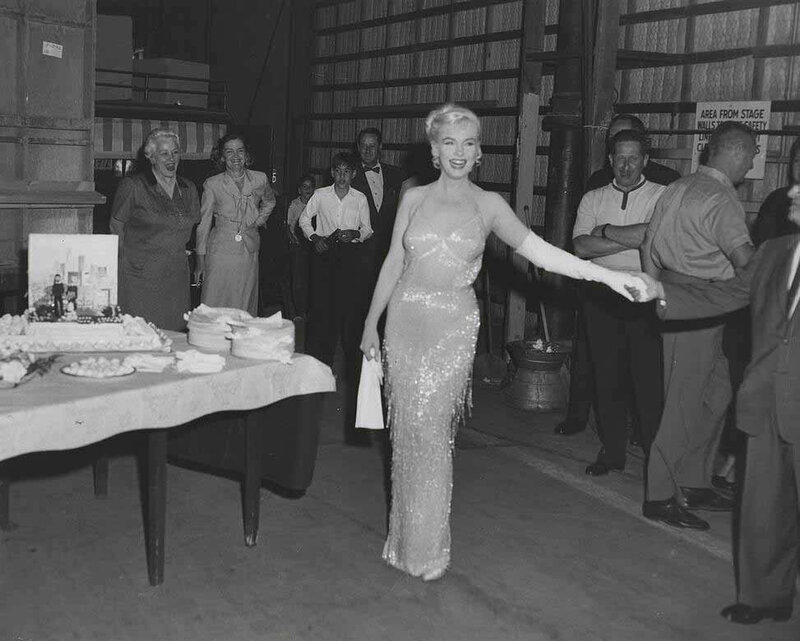 On June, 1st, 1960, a birthday's party is held to celebrate the 34 years of Marilyn Monroe. 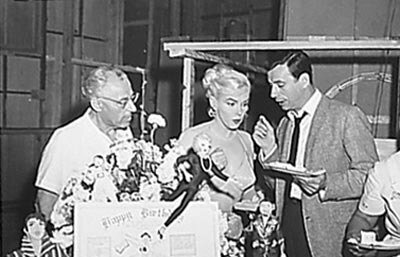 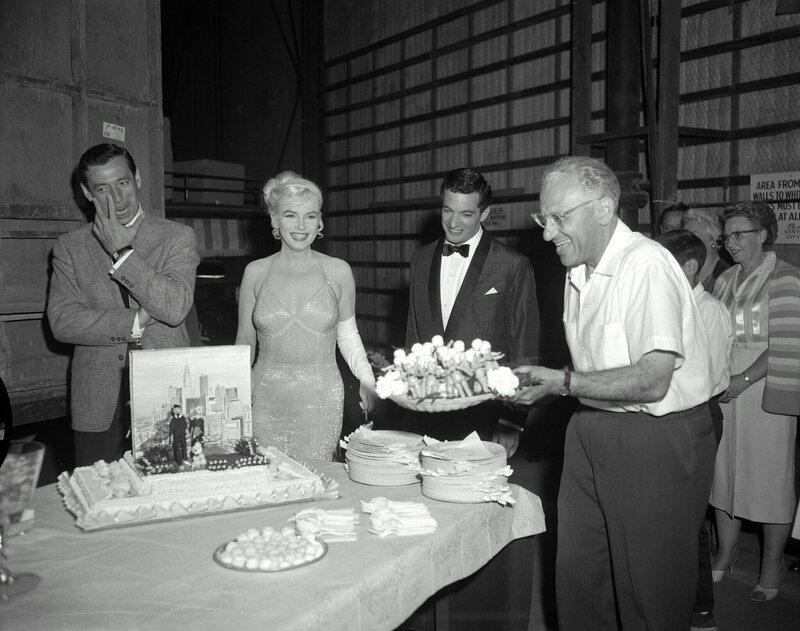 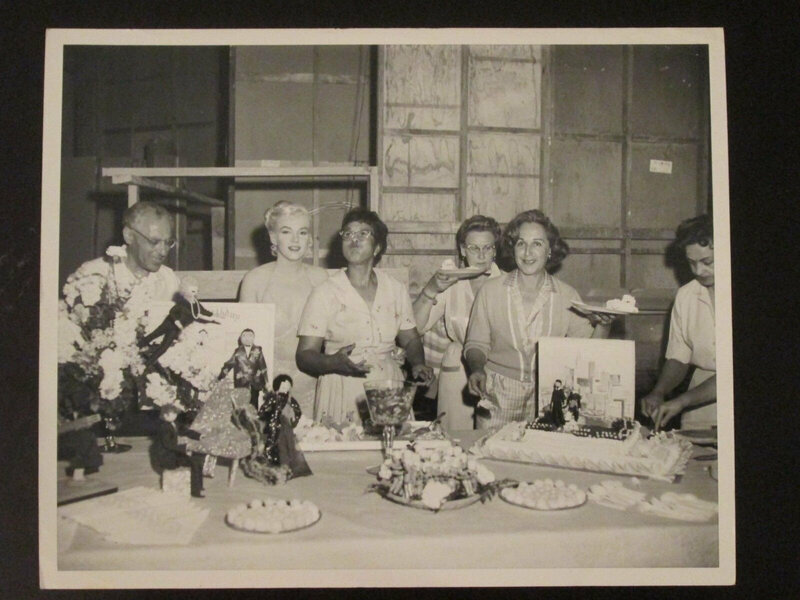 George Cukor cuts out the cake on which there are two figurines representing Yves Montand and Marilyn Monroe. 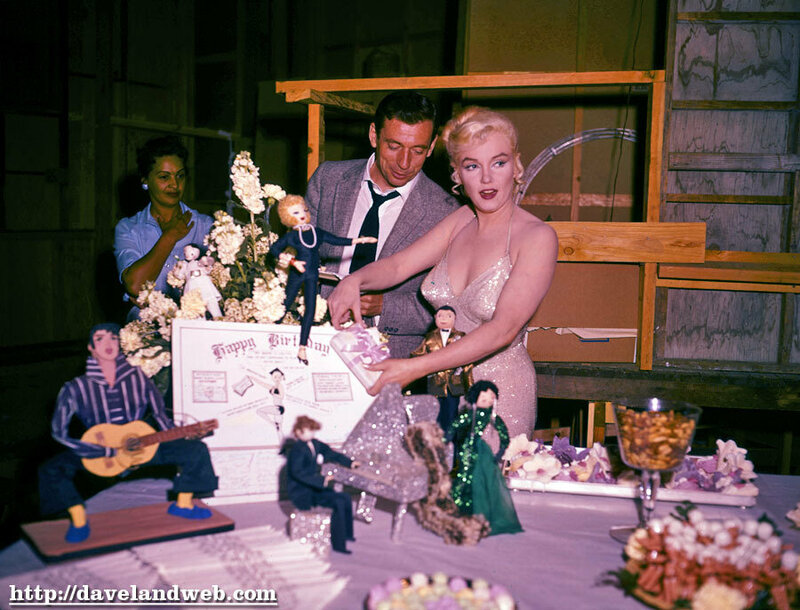 on the honor of the 57 years of the actor Wilfrid Hyde-White on the set of "Let's Make Love". 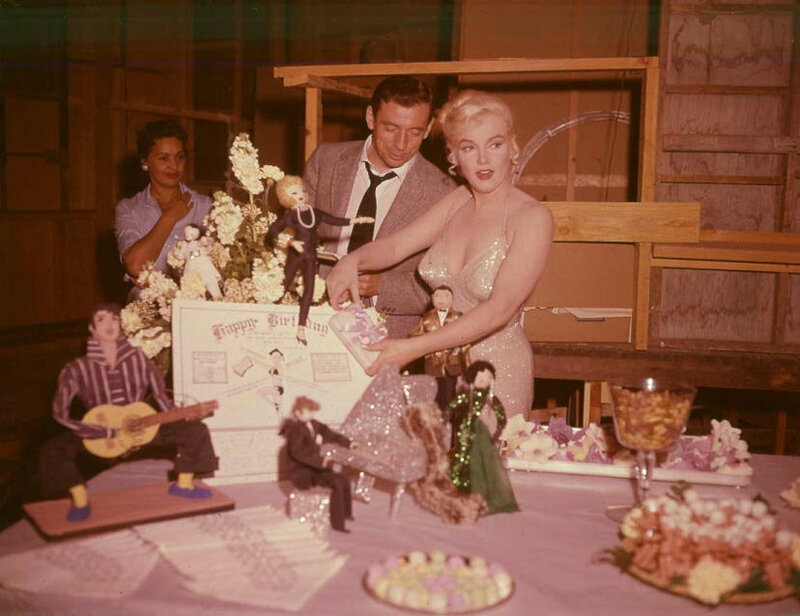 The small reception is decorated in the image of the film: several small figures are placed on the table, representing a pianist playing piano, a singer, a dancer and Elvis Presley. 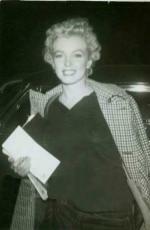 En 1960, à New York, Marilyn Monroe quitte l'Actors Studio. 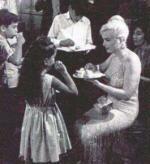 article: "Marilyn Monroe Yves Montand Cet enfant qu'ils ont failli avoir". 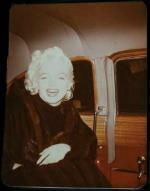 Extraordinary photographs purporting to show a secret pregnancy of film icon Marilyn Monroe can today be revealed for the first time. 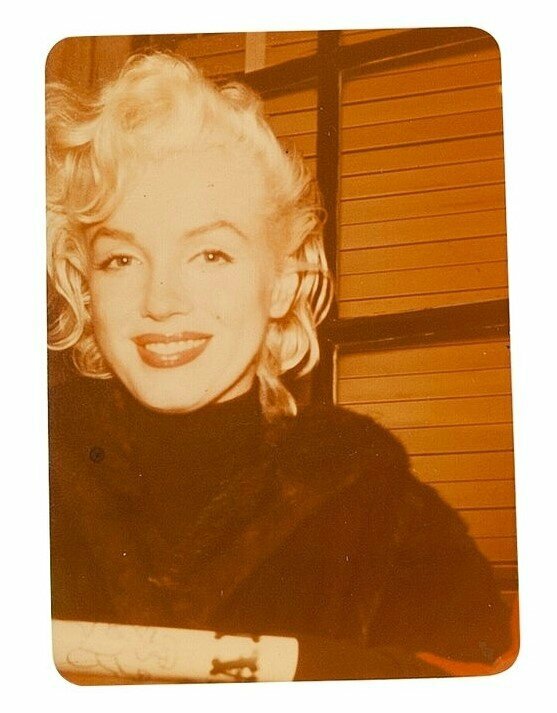 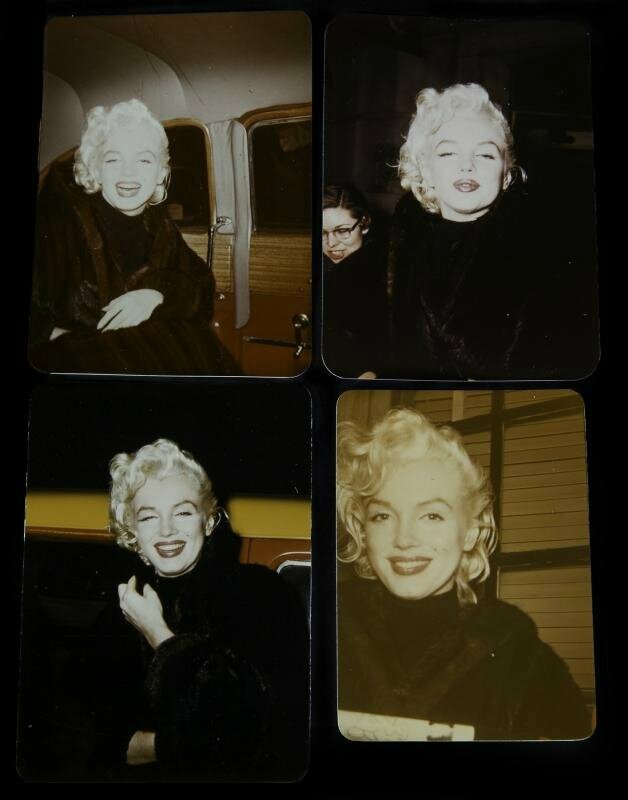 The world exclusive images of the beautiful Some Like It Hot actress and model were sold as original color slides at an auction in Hollywood in November last year from the estate of well known Monroe confidante Frieda Hull. 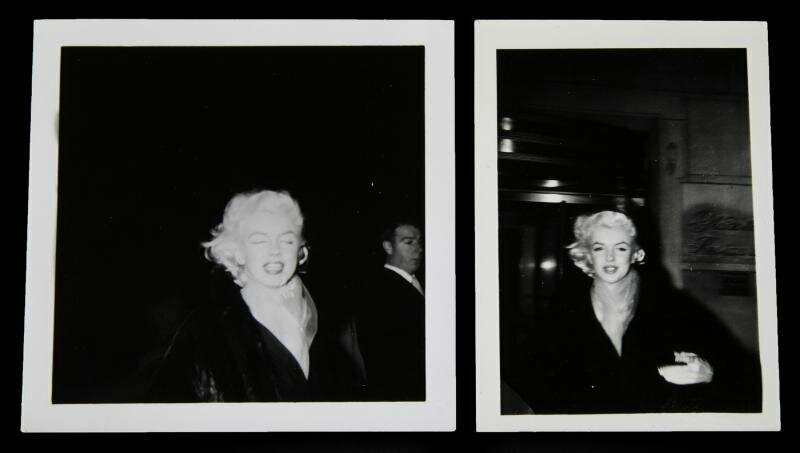 But the stunning photos went under the radar, selling for a mere $2,240 with wealthy collectors not aware of their true significance. Now DailyMail.com can reveal the six unique images were the prized possession of Monroe's loyal friend Hull, which she dubbed the ‘pregnant slides’ – a reference to a shocking secret the screen siren kept right up until her death. 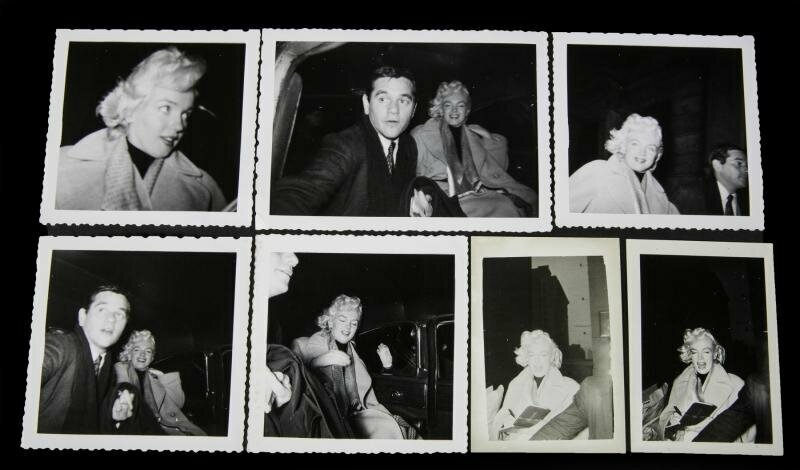 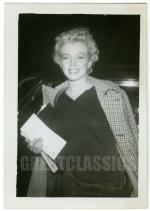 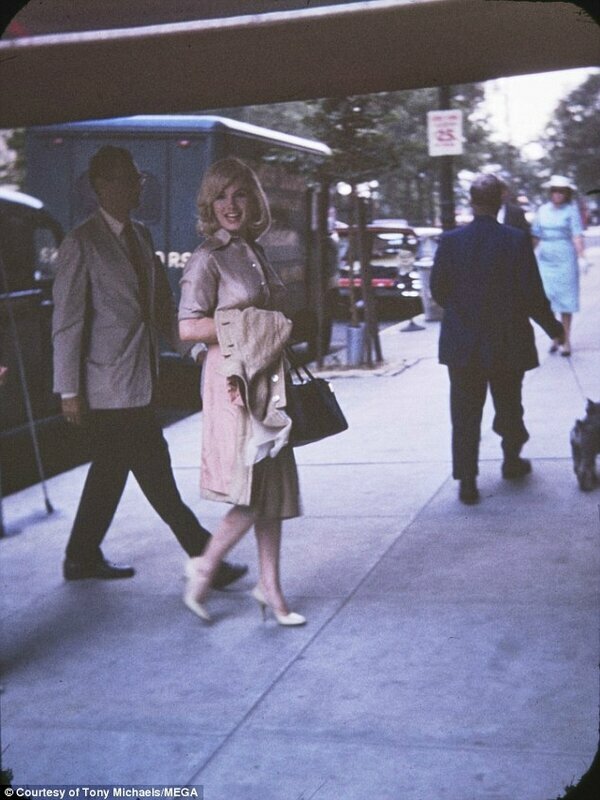 The shots were taken on July 8, 1960, outside Fox Studios in New York after Monroe had completed costume and hair tests for her film The Misfits, starring Clark Gable and Montgomery Clift . 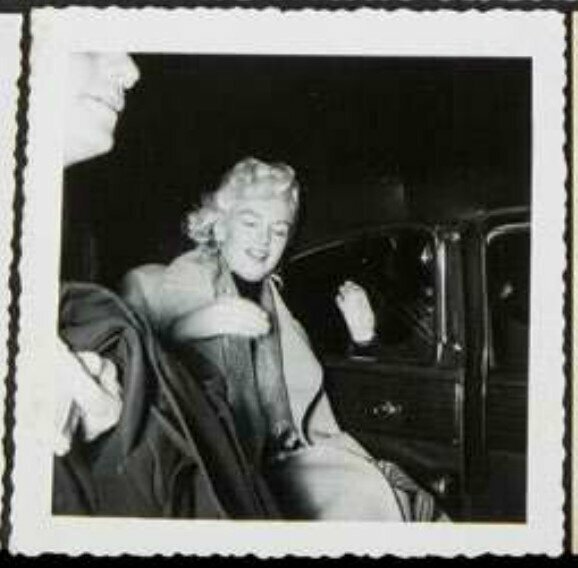 The images clearly show a prominent bump from Monroe’s belly which Hull claimed was evidence the star was in the early stages of pregnancy. 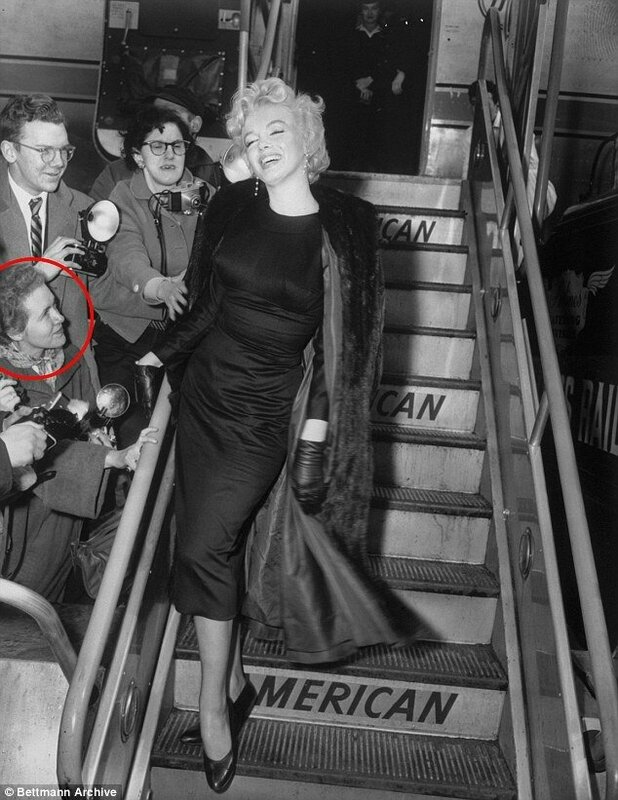 And DailyMail.com can reveal the would-be father was not Monroe's then husband, playwright Arthur Miller, it was in fact Italian-French actor Yves Montand – who she met on the set of film Let's Make Love and who she had a very public affair with. 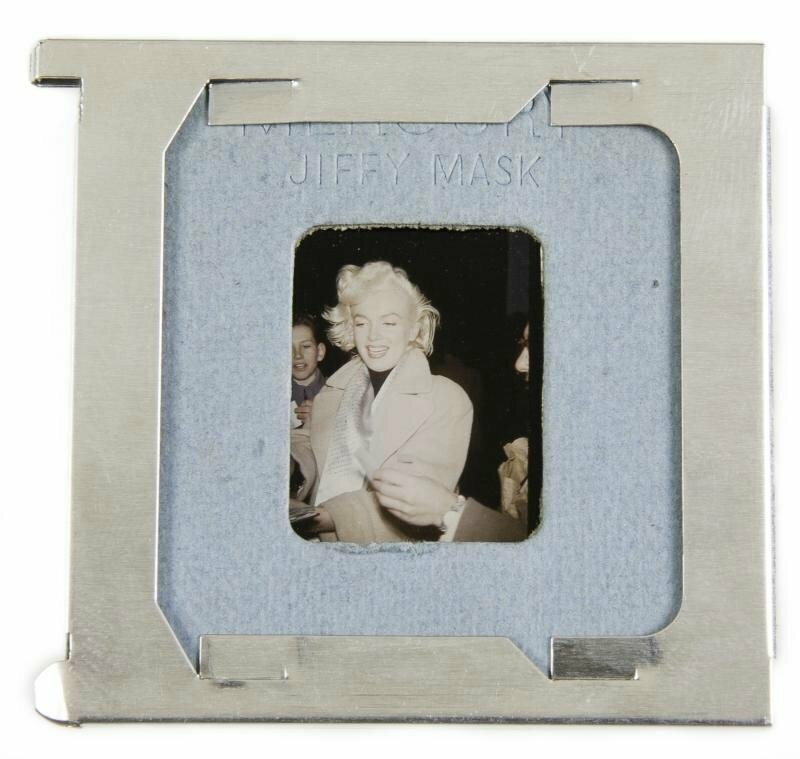 DailyMail.com spoke to Tony Michaels, the man who bought the color slides at the ‘once-in-a-lifetime’ Marilyn Memorabilia Auction held by Julien’s Auctions in LA. 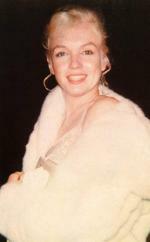 Tony, 56, was a close friend and next door neighbor of Frieda Hull before she passed. He reveals that Hull had confided in him about Monroe’s secret pregnancy and claims the ‘pregnant slides’ are genuine evidence that she was with child. 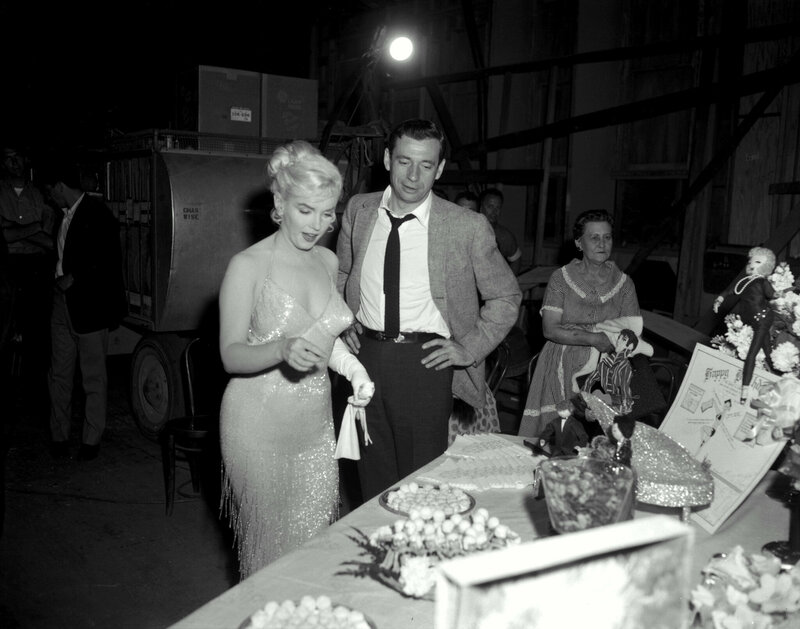 And in an extraordinary and tragic Hollywood tale Tony says Monroe kept her pregnancy a secret from the world before 'losing' the baby during a hospital visit. 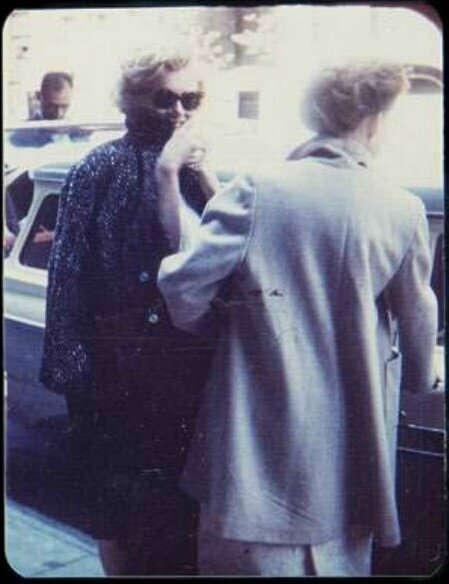 Tony told DailyMail.com: ‘Frieda was very proud of those slides and she was very proud to keep them a secret until the day she died. ‘But she told me the story behind them, that Marilyn got pregnant by Yves Montand. 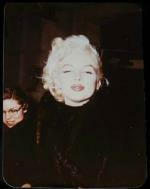 ‘It wasn’t a guess or a presumption, it was something she knew for sure, she was very close to Marilyn. 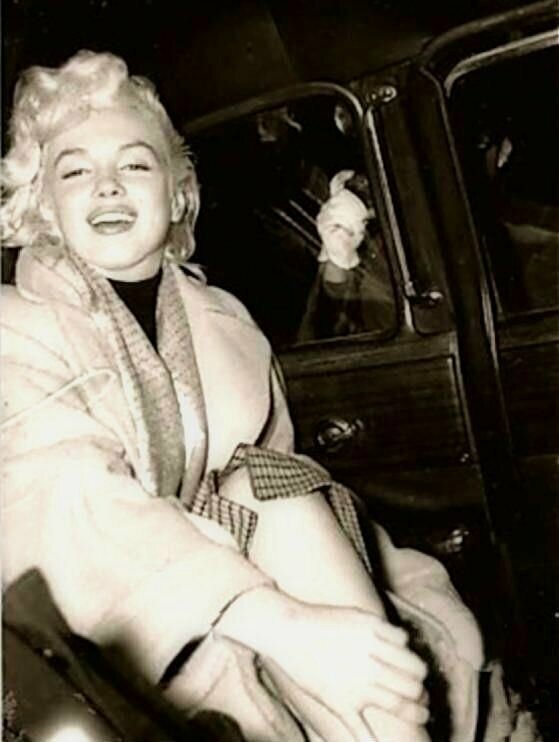 Monroe had wanted a baby more than anything in the world, but that joy was denied her. 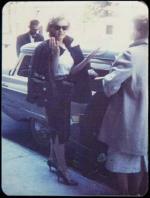 She had three miscarriages prior to losing this baby, all of which played out in the public eye. 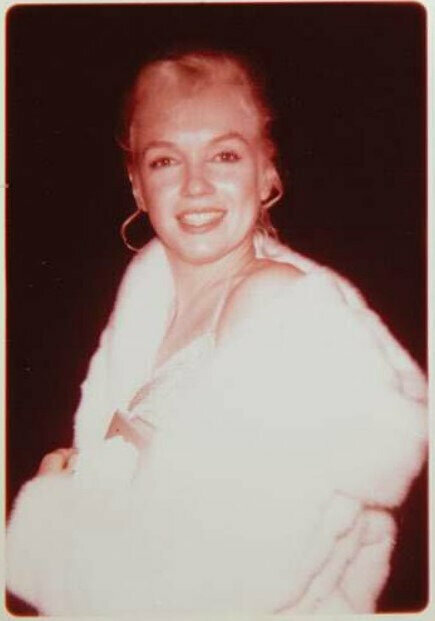 The star suffered with a condition called endometriosis her entire life that caused severe menstrual pain and she also struggled to conceive. 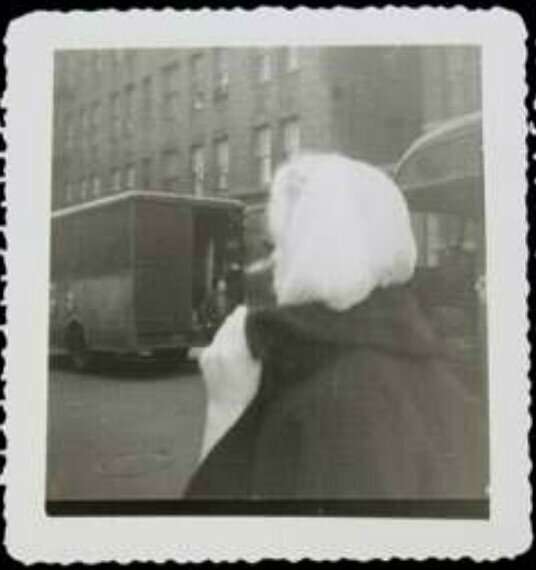 At Julien’s three day auction the Frieda Hull estate had 187 lots on sale. 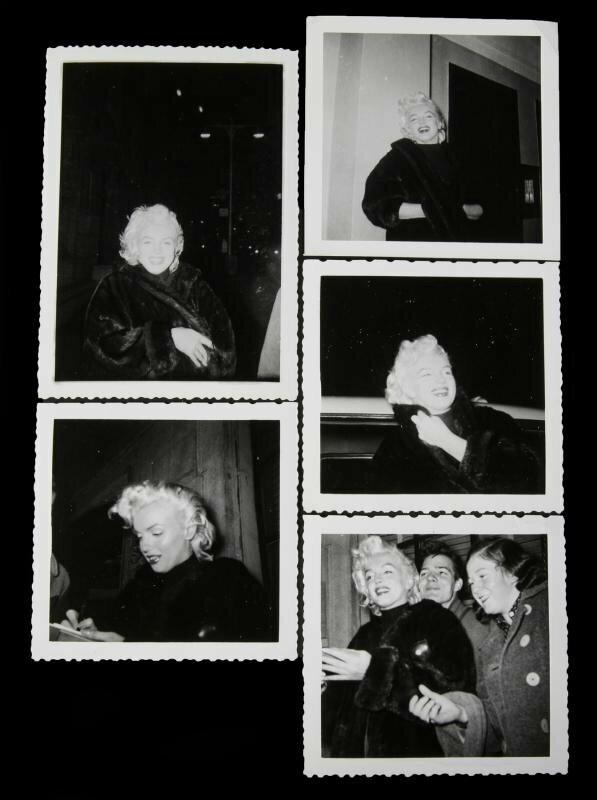 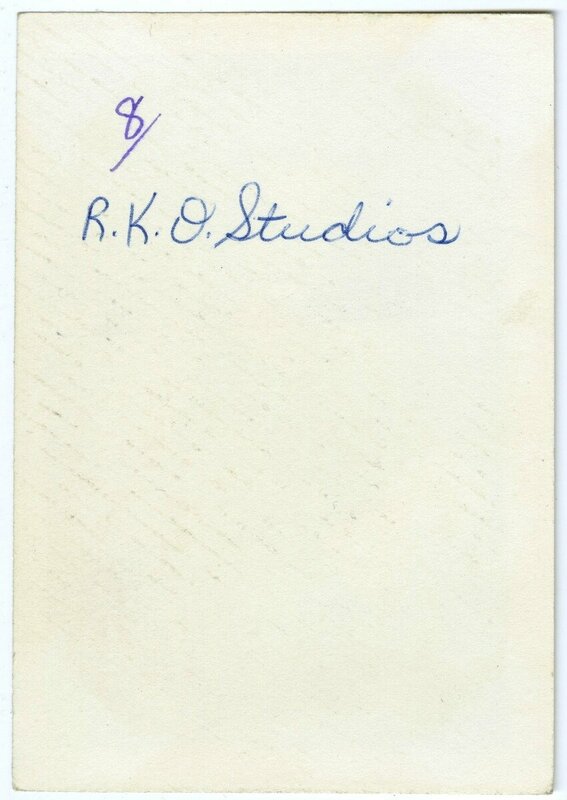 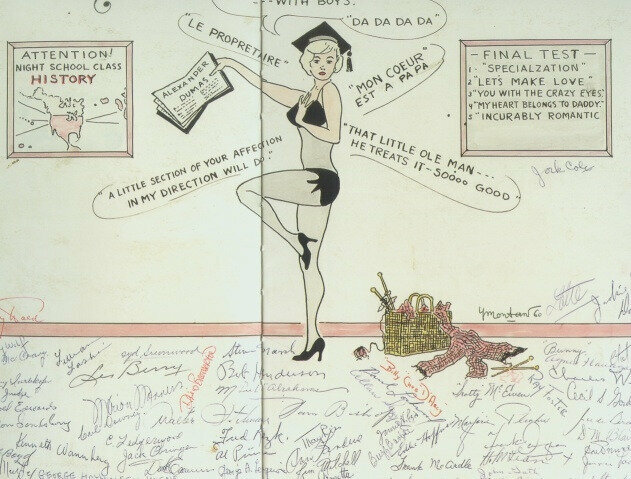 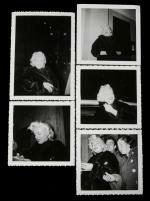 Rare items from the archive included unseen color photos of Monroe as she sang ‘Happy Birthday’ for President John F. Kennedy at Madison Square Garden on May 19, 1962 as well as Frieda’s original ticket and program to the gala event; never-before-seen slides of Monroe on location as she filmed the now famous subway skirt-blowing scene for The Seven Year Itch and a large collection of many unpublished photos of Marilyn at the 1955 premiere of East of Eden. 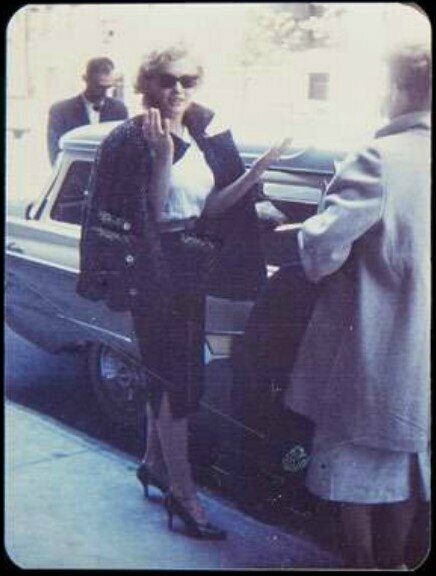 In total, according to Julien’s, ‘The Frieda Hull Marilyn Monroe Photo Archive’ included over 550 color and black and white candid snapshots and photographs, over 150 color slides, nearly 750 movie stills, publicity photos and lobby cards, and personal home movies. 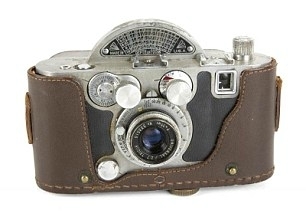 Even the camera Frieda had used to take the 'pregnant slides' as well as dozens of other photos of Marilyn - a Mercury II, model CX 35mm - went up for sale selling for a bid of $3,437.50. 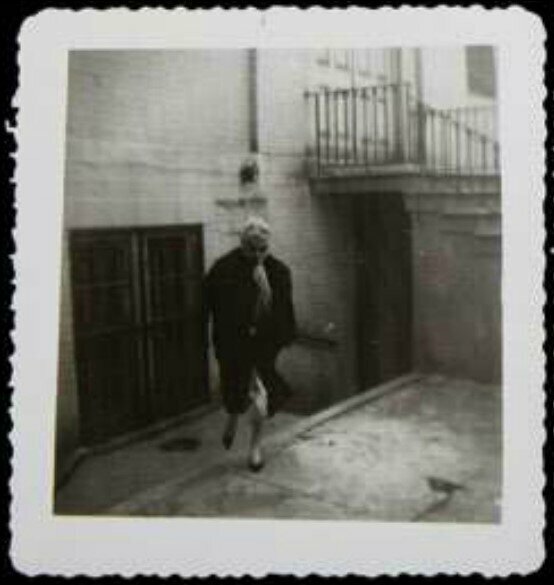 The provenance for all the lots – which sold for $433,000 - was simply that they came as part of the Frieda Hull estate. 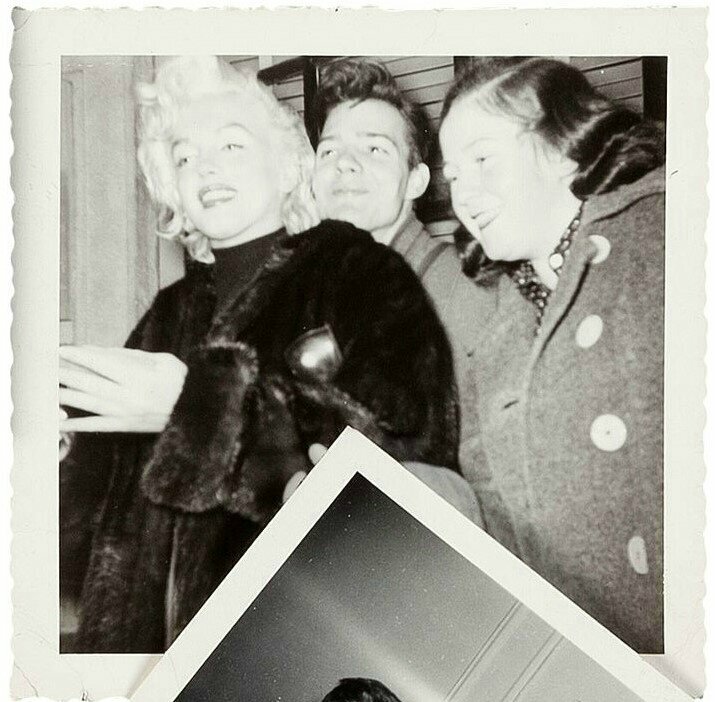 Tony recalls: ‘Frieda had even gotten permission from Marilyn to get a couple of locks of hair from her hairdresser. 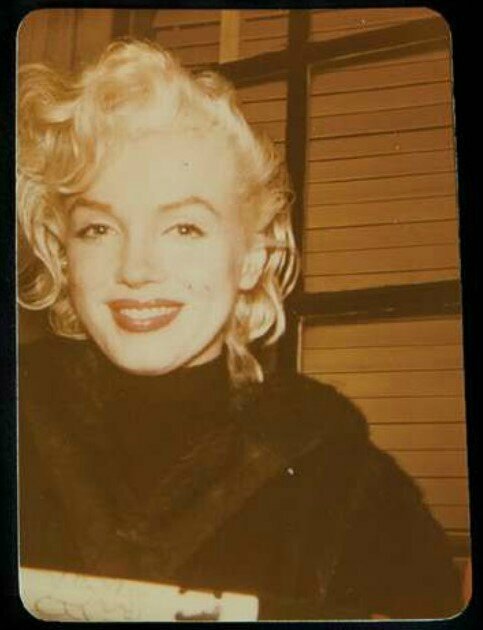 ‘I’m not talking much, just small lots of hair, together the two locks of hair went for $72,700. 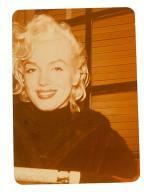 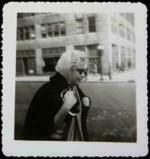 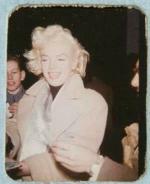 ‘She also had a red scarf that Marilyn had given her in there. 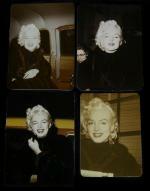 ‘But out of all the lots her prized possession was the six ‘pregnant slides’ as she called them. 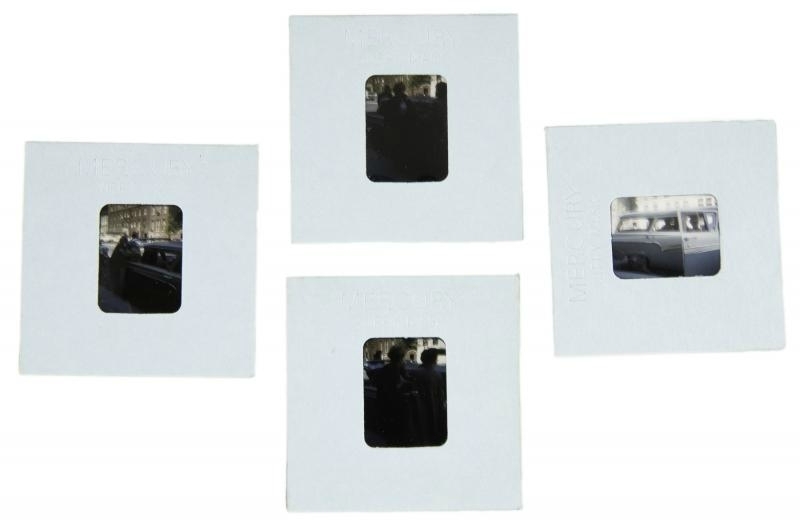 Julien's auctioneers decided not to mention the pregnancy claims when selling the slides. 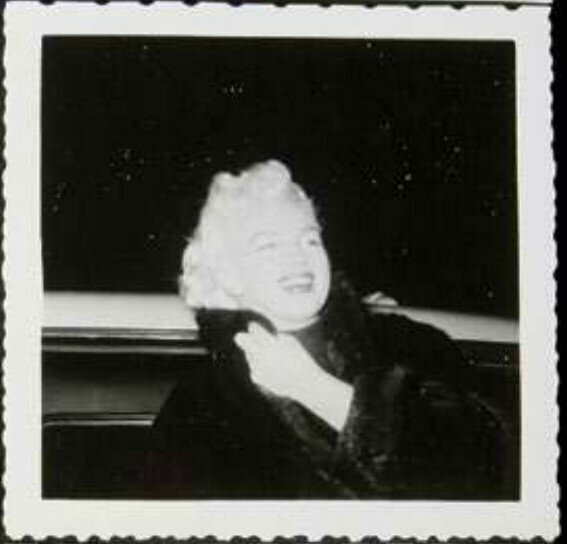 As a result the slides went relatively unnoticed and Tony felt it his duty to snap them up, paying just $2,240 - a bargain given the back story now emerging. Of course, the astonishing claims which will send Marilyn Monroe historians into a flap, cannot be proven - both Marilyn and Yves Montand are long dead. But Tony's compelling account of what Frieda had confided in him is difficult to ignore. 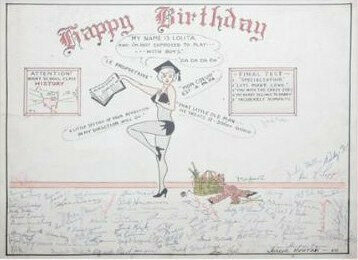 And today he wants to tell Frieda’s story and how his long time friend was infatuated with Marilyn Monroe. 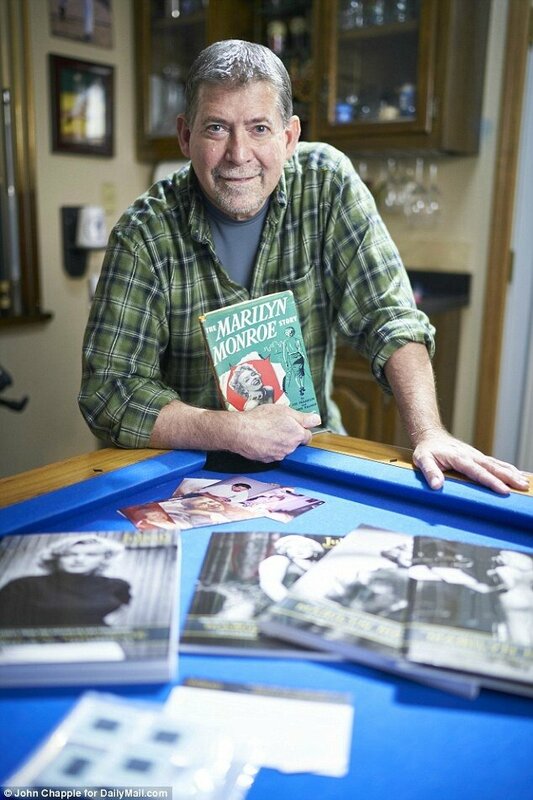 Speaking from his home in Las Vegas, the high stakes casino croupier told DailyMail.com: ‘I met Frieda over the wall in my back yard around 20 years ago around 1996, she was a neighbor and I introduced myself, she introduced herself and I invited her over for a prize fight. 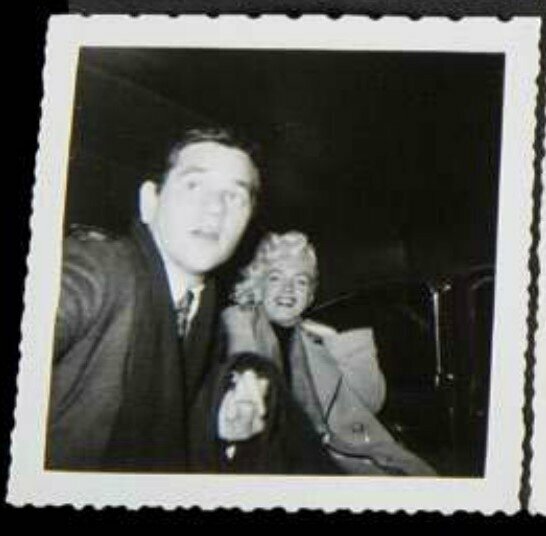 ‘I had ordered a pay for view fight that night and she had mentioned she was a fan of boxing and she came over with a bottle of Jack Daniels and drank me under the table. ‘She became my drinking partner and we became pretty good friends, she came to all the kid’s Little League games, if they had events, she went to all of them. Frieda was never married and had no children so she ‘adopted’ many of the neighborhood children, including Tony’s two young boys Anthony and Andrew. 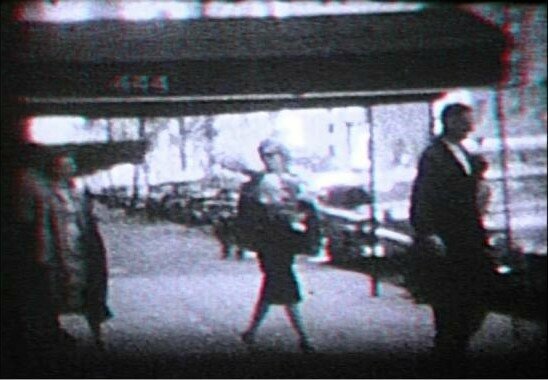 She was preceded in death by her brother, Thomas Hull; and her aunt, Elizabeth Hagen, but had no obvious heir when she died. 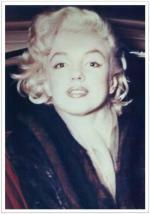 Tony said: ‘My family became very close to her. 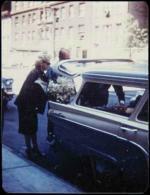 Frieda didn’t drive so we would take her grocery shopping or to her doctor’s appointments. 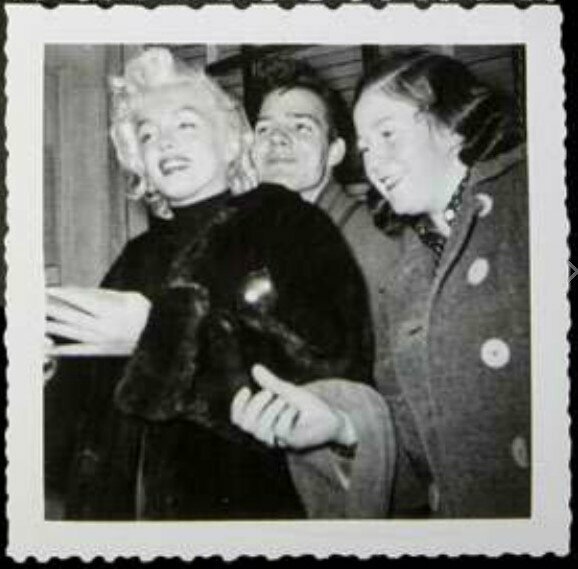 ‘She was very generous, we’d go out to eat and she’d never let us pay for it, she liked to do a little gambling and loved sports, she was a die-hard fan of the Brooklyn Dodgers and the New York Mets. 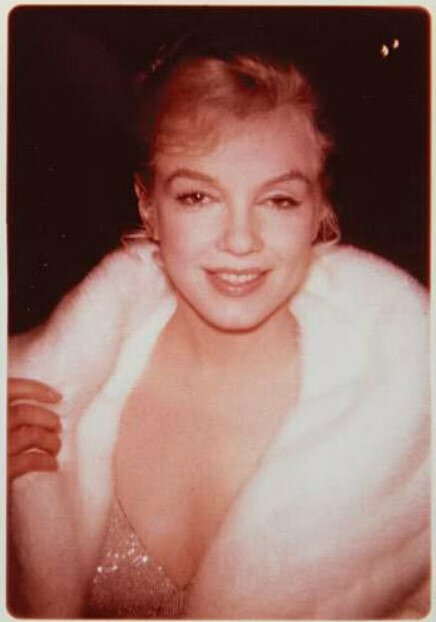 ‘She was set in her ways and was never going to change her opinion about anything, She was a brutally honest person. 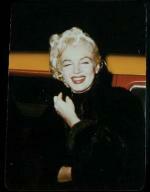 ‘She was very warm hearted, especially to the under dog whether it was children or animals. 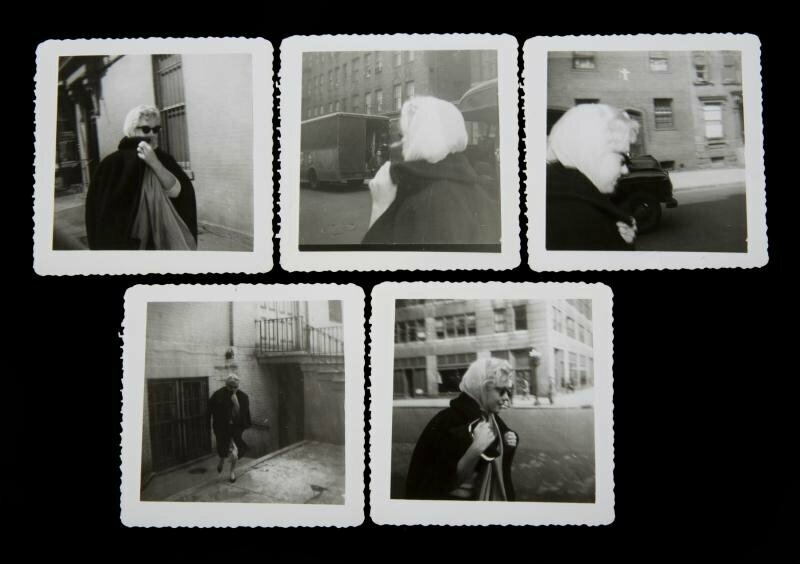 Frieda is widely known to have been one of the ‘Monroe Six’ – a group of six friends based in New York City who followed the star all over America to take her photo. 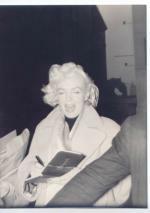 As an employee of Pan Am Airlines Frieda was in the enviable position of being able to photograph Monroe on a regular basis. 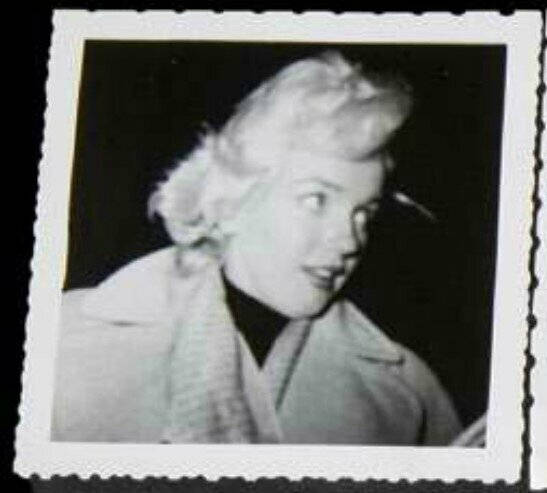 The group learned of the screen siren's whereabouts by reading movie magazines and asking her hairdresser and would wait outside her hotel or home. Tony said: ‘Frieda started out as a fan, almost like a stalker, her and five friends. 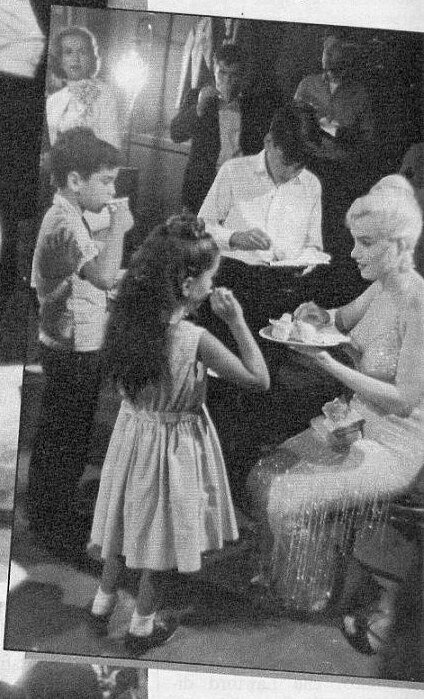 ‘Then after a while Marilyn would recognize the kids and she came over and asked their names and they started a friendship. 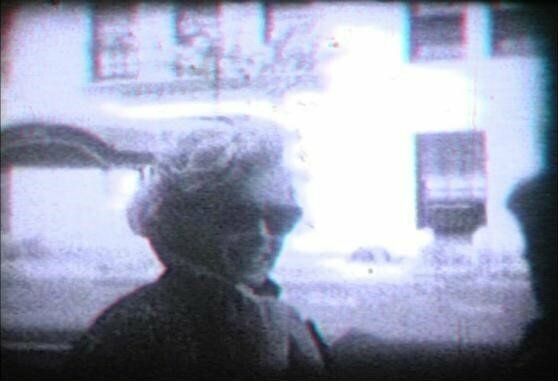 ‘When she would come in to town, for lack of a better word, they would kidnap her, put a scarf on her head and put sunglasses on her and they would go out and do things that Marilyn couldn’t do because she was too famous. 'They called her "Mazzi". 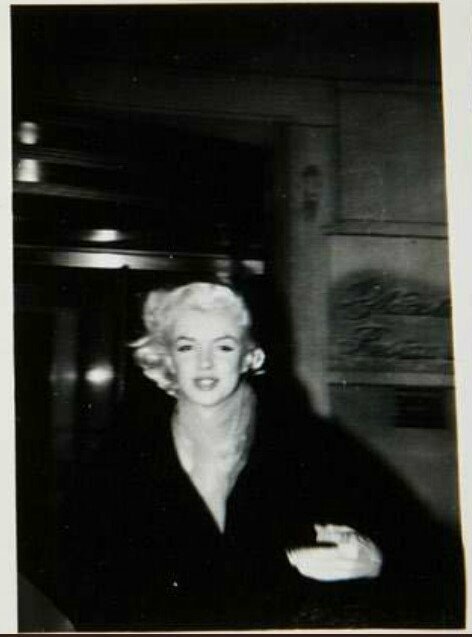 It was a code name they had for her, so no one else would know who they were talking about. 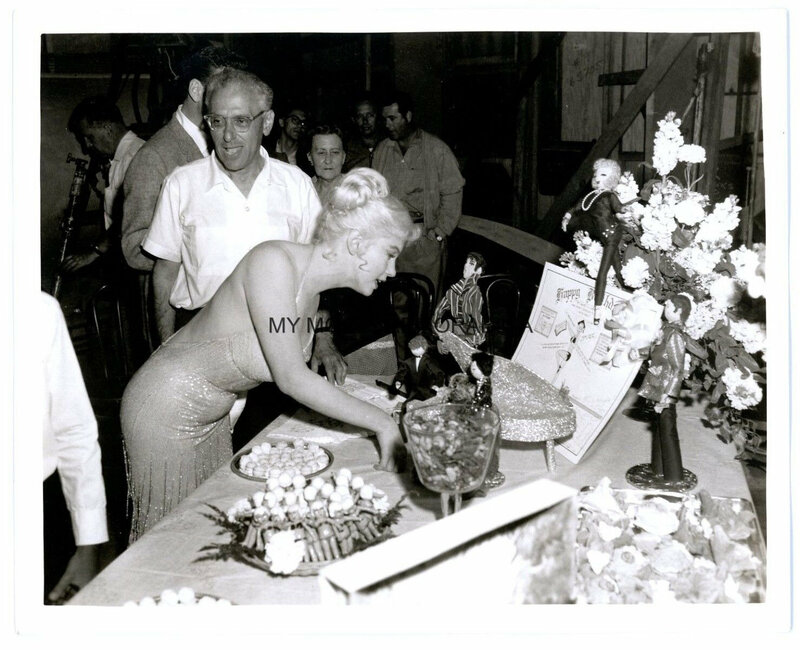 Eventually Monroe came to know each member of the group very well, even inviting them to the Roxbury, Connecticut home she shared with then husband Arthur Miller for a picnic. 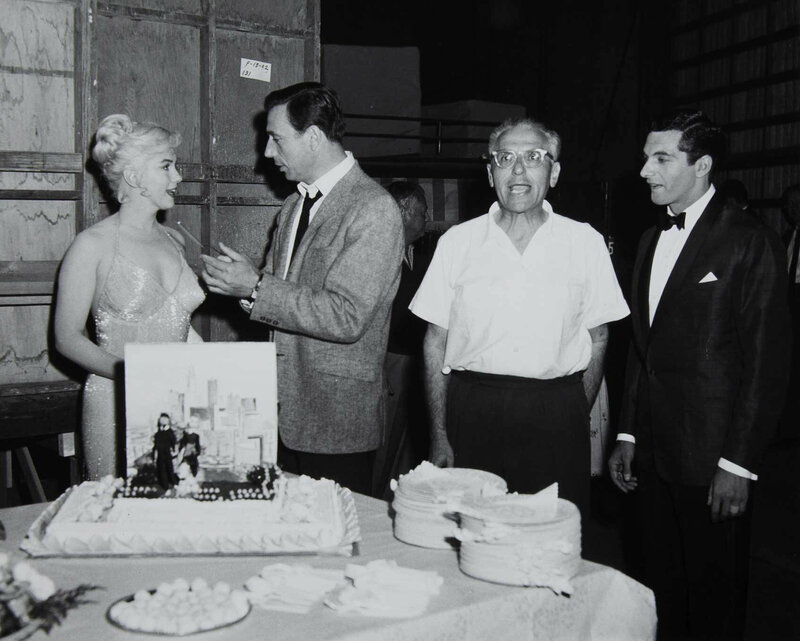 Tony added: ‘To show you how gruff Frieda could be at times, the story went that Marilyn came over and took a potato chip off her plate and Frieda snapped and put her in her place, “don’t you ever do that, I don’t care who you are, or who you think you are, that’s rude, don’t do that”. 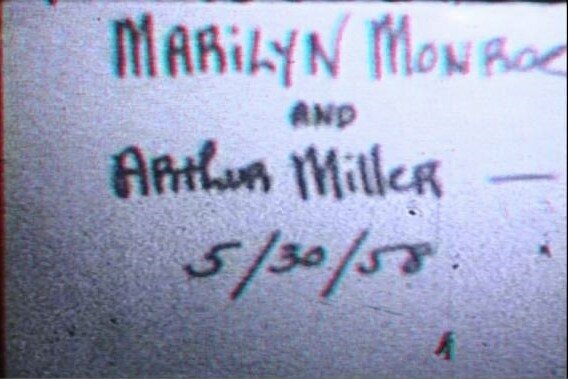 From then on they were pretty close friends. ‘Every time we would get together, especially if we were drinking, I’d get to hear all the stories from Frieda. 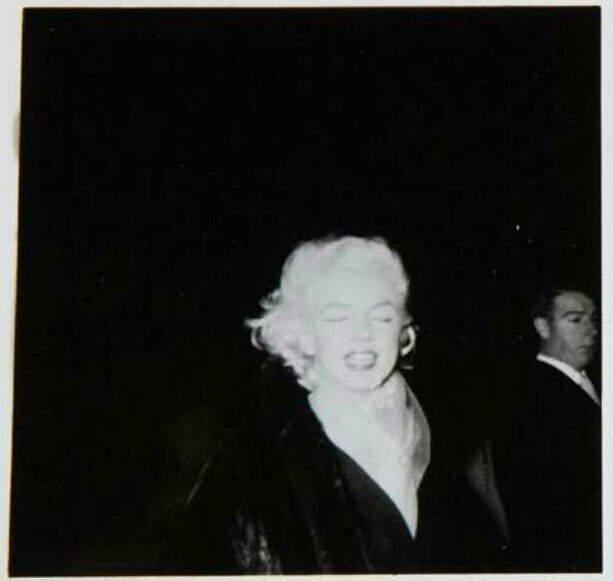 ‘Marilyn gave her a red scarf at one point and she worked for Pan Am so any time Marilyn came in to town Frieda would run out on to the tarmac and start taking pictures. 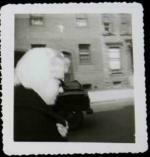 ‘I told Frieda, you know you have all this stuff why don’t you sell it, you can get a better place. 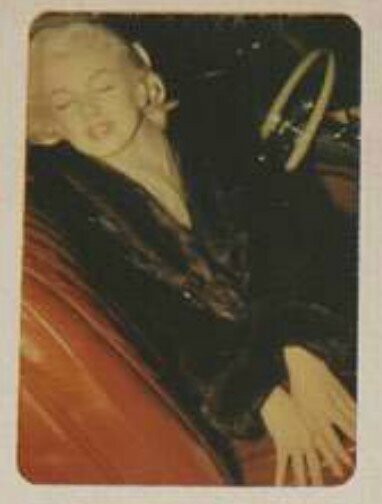 ‘But she said, “no I would never, I couldn’t capitalize on Marilyn’s death she was my friend”. 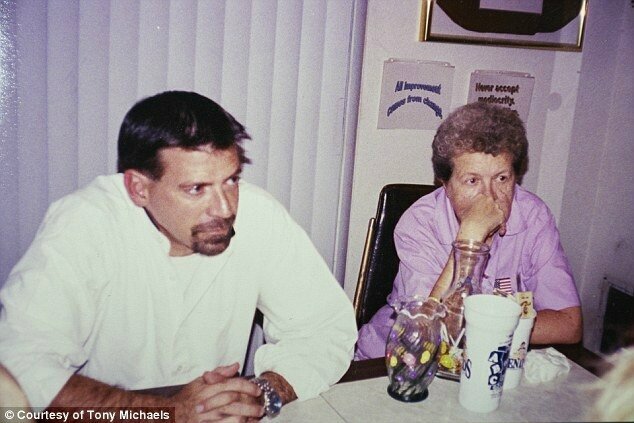 Tony lost contact with Frieda after he divorced his wife and moved out of the marital home, but he says his ex-wife and two sons kept in close contact with her. 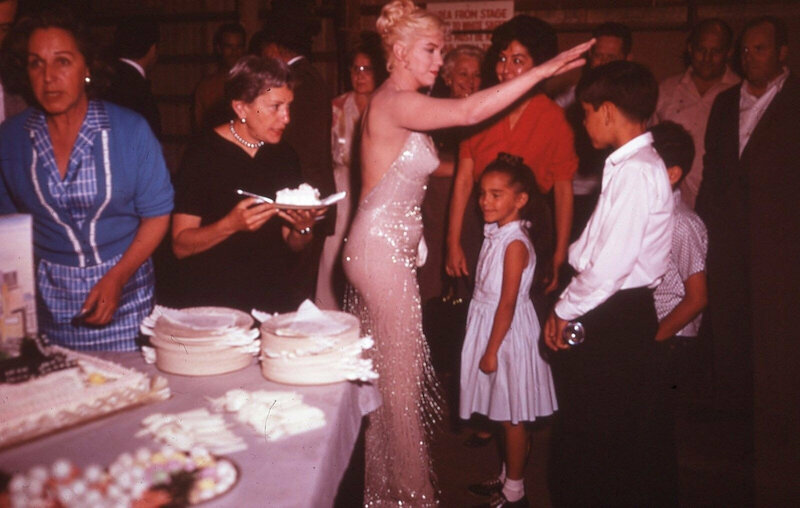 The best friend of Tony’s sons, a man named Chris who asked for his last name to be left out of this article, was also close to Frieda and helped her in her dying months. ‘Chris visited her in the hospice and took care of her house, he did a great job of helping her put and Frieda was very thankful,’ said Tony. 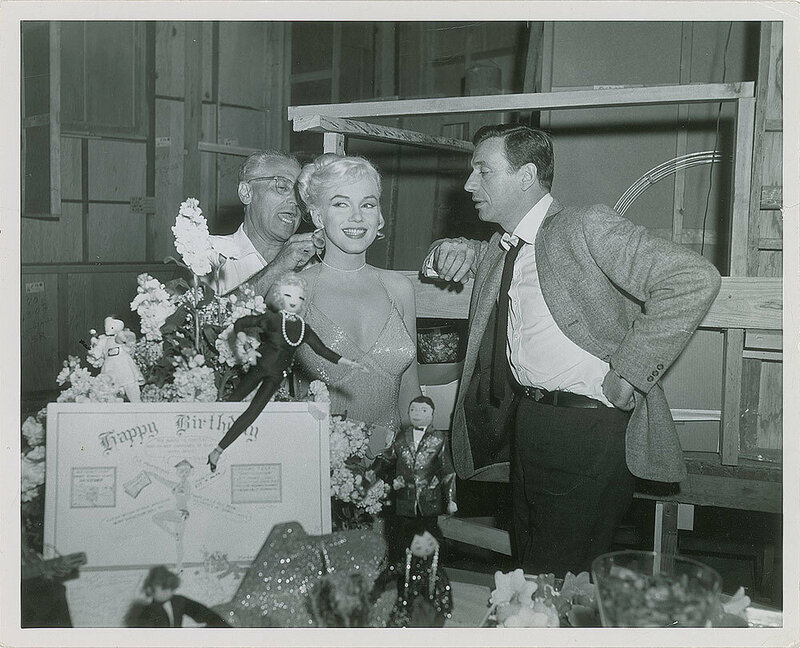 As a result Chris was made the executor of the estate and took up Tony on his offer to help catalogue all her Marilyn Monroe memorabilia. ‘My kids were in the will as was my ex-wife, I was not. Frieda and I kind of had a falling out. 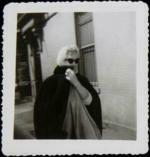 ‘But I was still fond of her and her death was terribly sad. 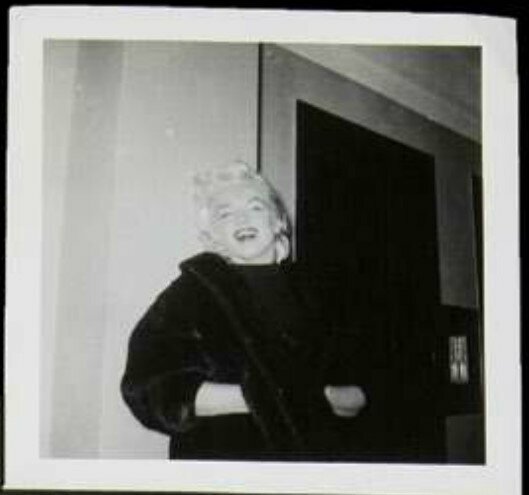 'I helped catalogue Frieda’s Marilyn Monroe collection because over the years she had shown me most of it, I knew what to look for in her mountain of belongings. 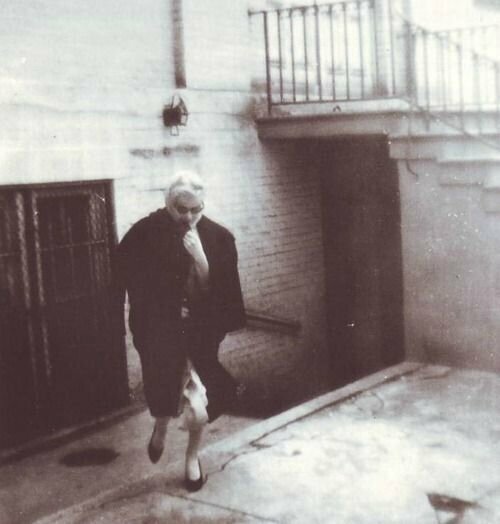 'The first thing on my list was "The pregnant slides". 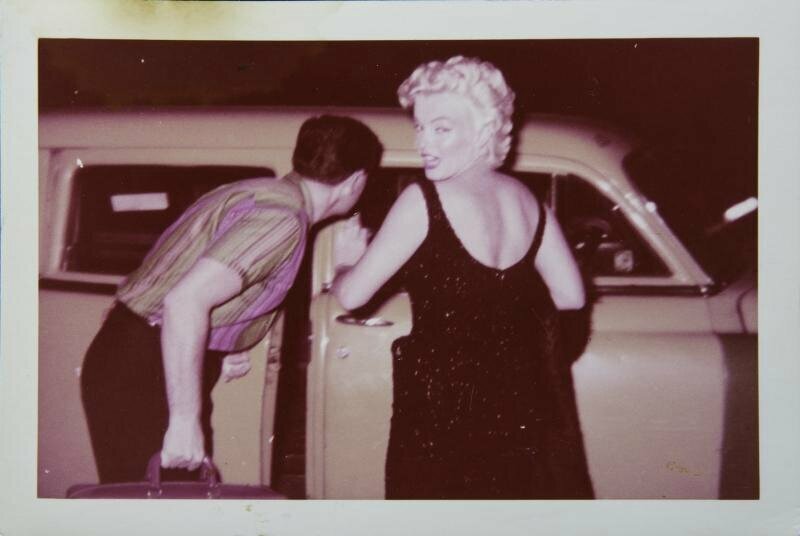 Indeed the affair between Monroe and Montand has been widely discussed over the years. 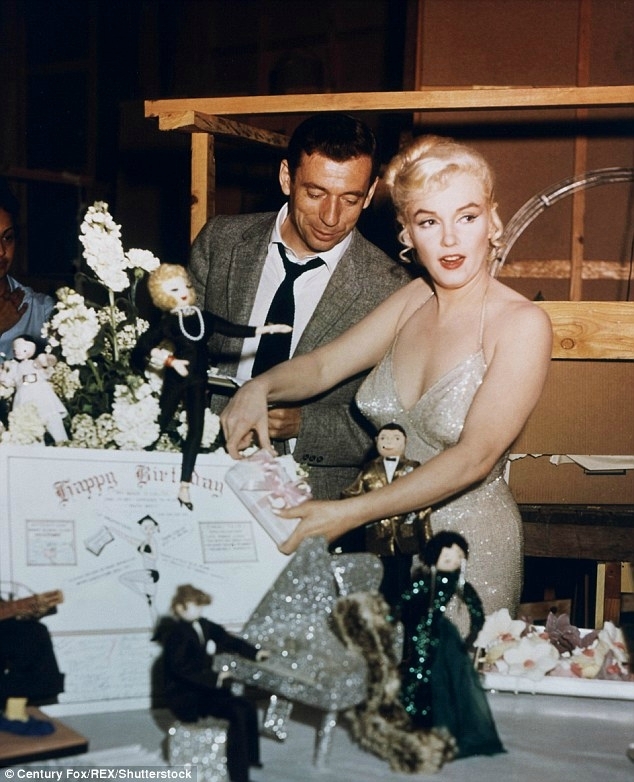 Monroe and playwright husband Arthur Miller were staying in a luxury bungalow at the Beverly Hills Hotel, while the golden couple of French cinema, Simone Signoret and her husband Yves Montand were next door. 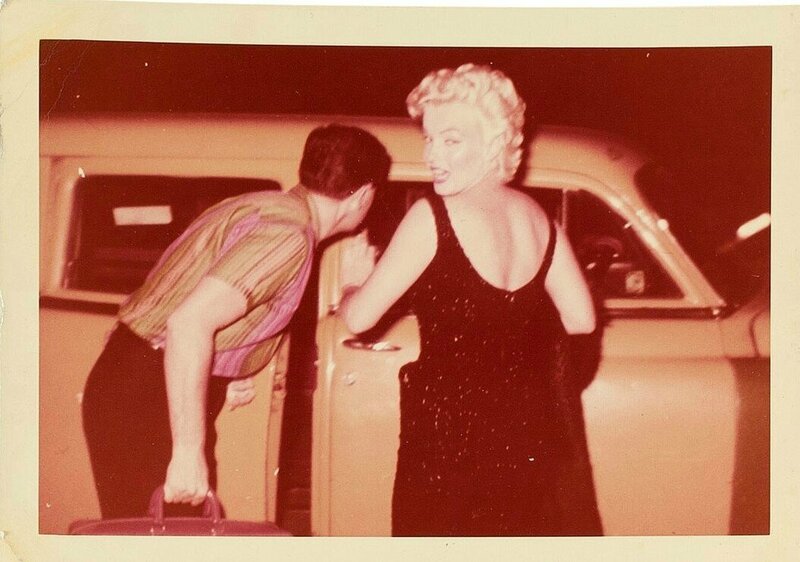 Monroe and Montand were starring in the George Cukor movie, Let's Make Love at the time. 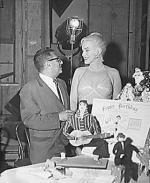 Miller and Monroe's unhappy marriage made it easy for the star to stray. 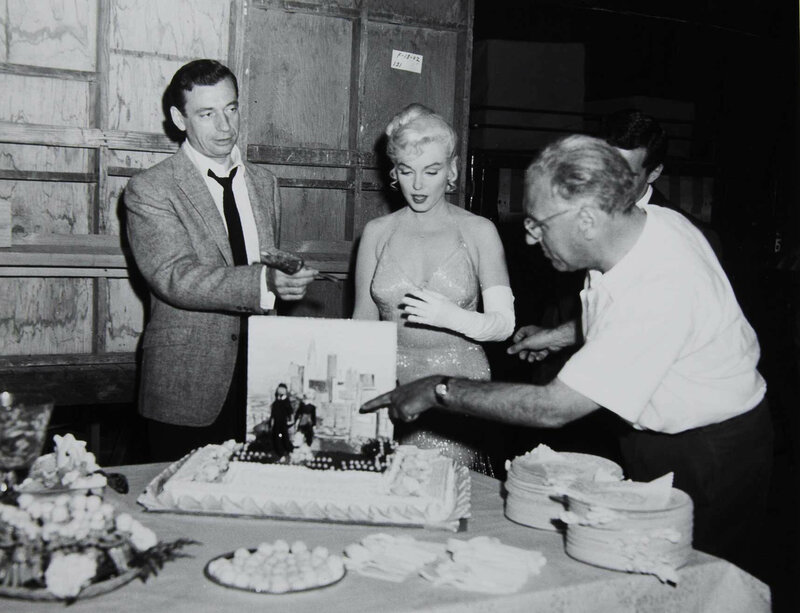 Production on Let's Make Love, a movie starring Monroe and Montand, began in February 1960. 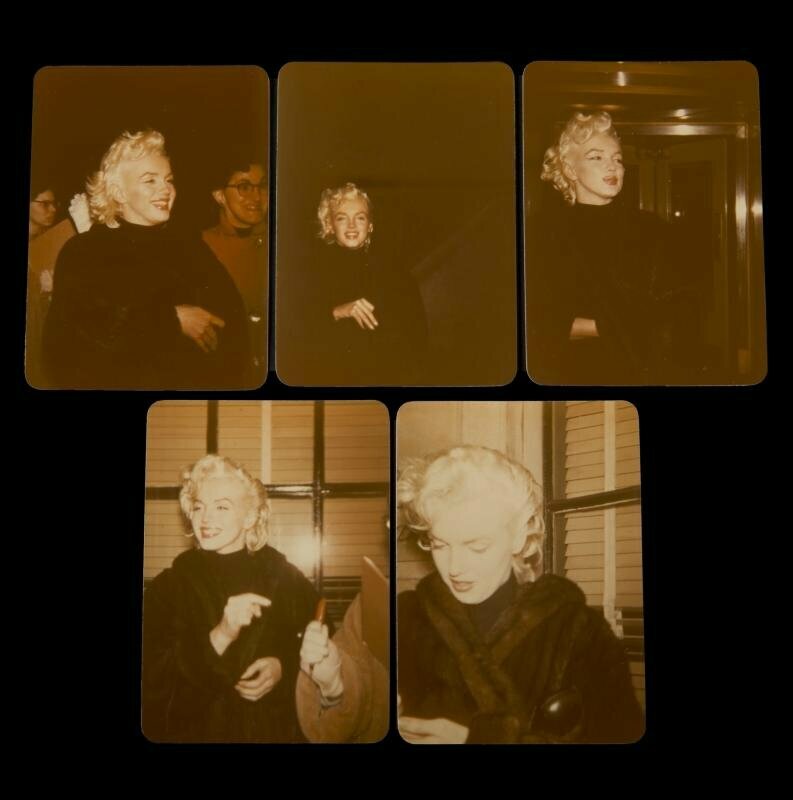 Soon after shooting got underway, their respective partners Miller and Signoret were called away from Los Angeles, leaving Monroe and Montand alone in Miller's Beverly Hills Hotel bungalow. 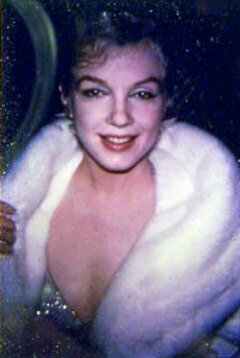 On March 8, 1960 Monroe received the Golden Globe Award for Best Comedy Actress for Some Like It Hot. Could this be the night of conception? She would have been exactly four months pregnant in Hull's July 8, 'pregnant slides'. 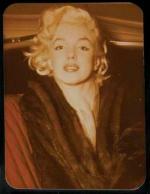 In May, 1960 Miller found out about the affair and was very upset - his marriage to Monroe began to crumble. 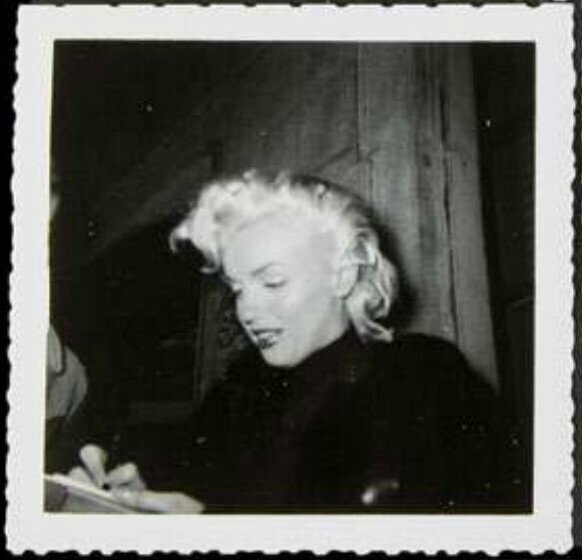 By August that year they weren't speaking and Monroe moved out of a shared room with Miller at the Mapes Hotel in Reno. 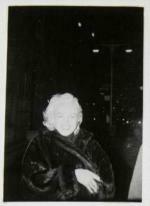 In later years Montand admitted to the affair. 'I was crazy about my wife, but what can you do?' 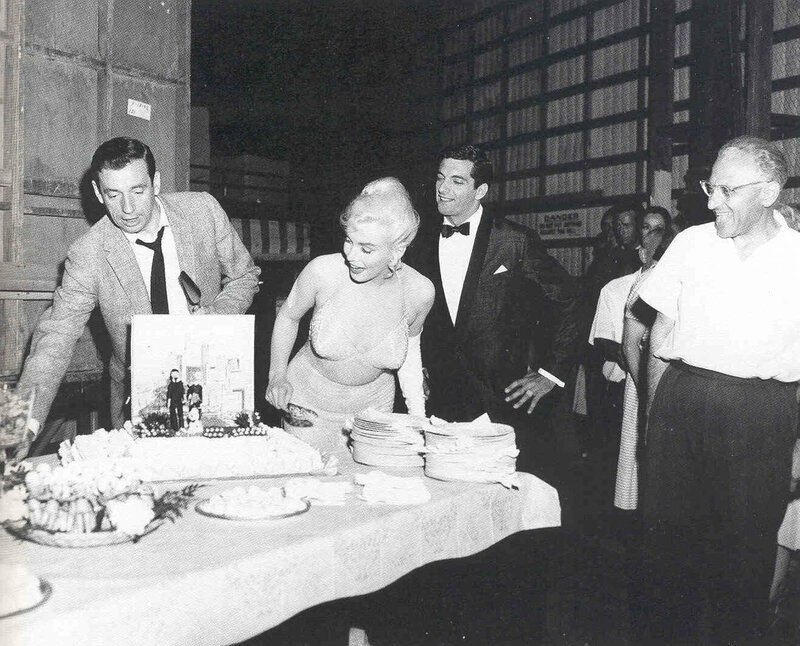 Montand recalled with a very French shrug. Monroe died two years after Let's Make Love, at age 36. 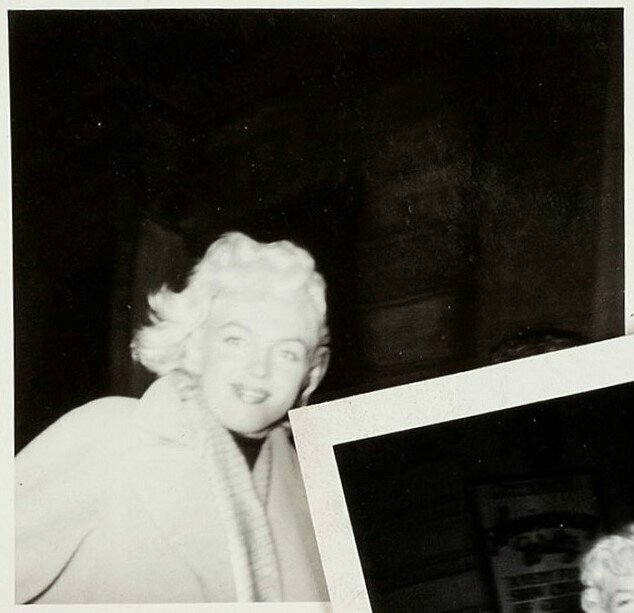 Tony says he has meticulously researched the time period when Frieda claimed Monroe was pregnant and claims photographs taken at the time show the development of the child between two of her movies. 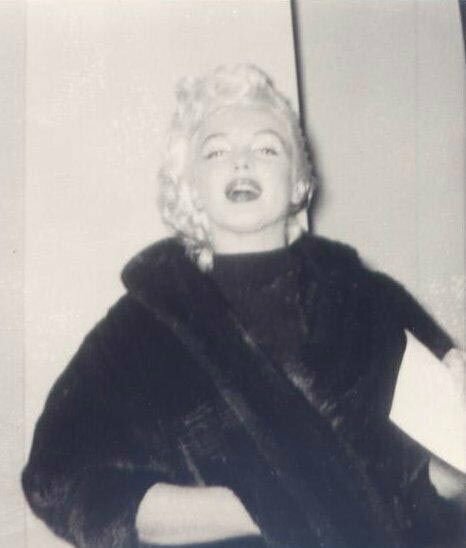 'Let's Make Love, you can see towards the end that she could be pregnant and she went right in to the The Misfits, Arthur Miller's play that he wrote for her,' he says. 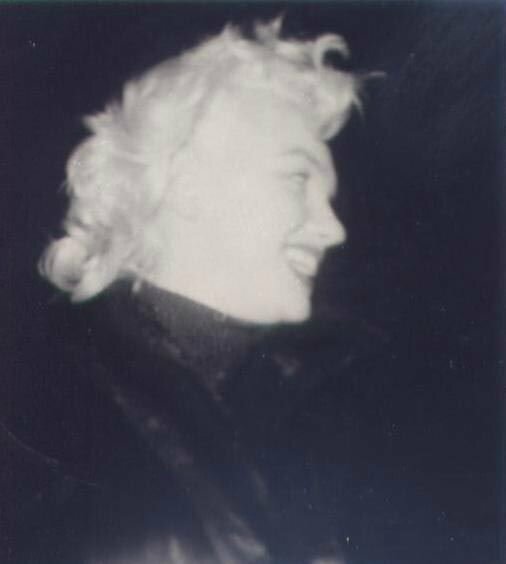 Tony says that Frieda believed that when Marilyn went to hospital for ten days during the filming of The Misfits, it wasn't for acute exhaustion as was claimed at the time, it was for a nervous breakdown and possibly a miscarriage. 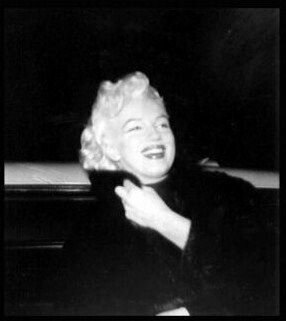 'She just told me Marilyn was pregnant in those photos and I believed her. 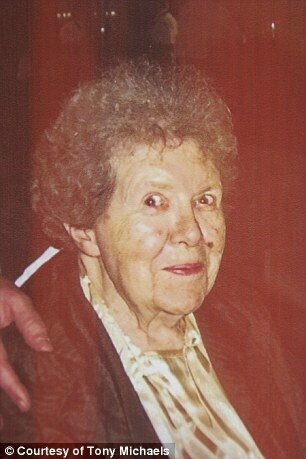 I don't think she'd tell me that on a hunch, she knew. 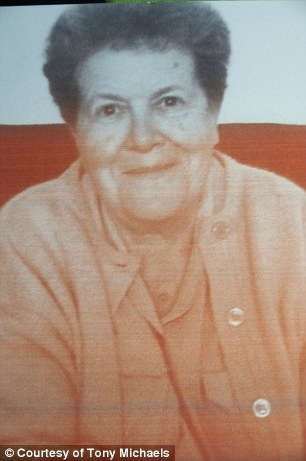 'Frieda believed that it wasn't exhaustion that landed her in hospital, she said it was a nervous breakdown and she lost her baby. 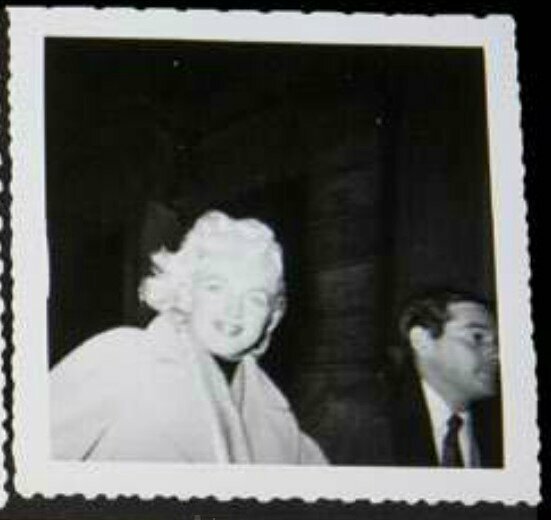 Tony says he bought the photos because he knew their history as 'The pregnant slides', while no one else did. 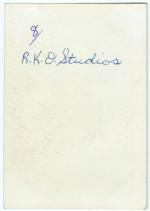 'Now I think that the story needs to be told,' he added. 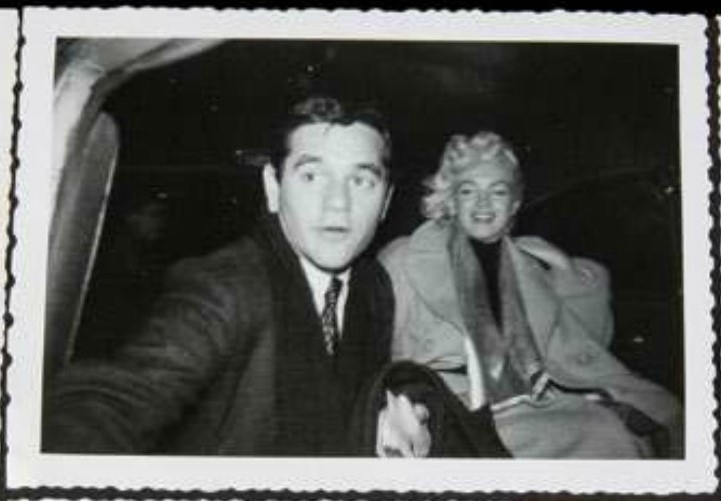 Tony says he kicks himself that he didn't quiz Frieda more on her time with Marilyn. 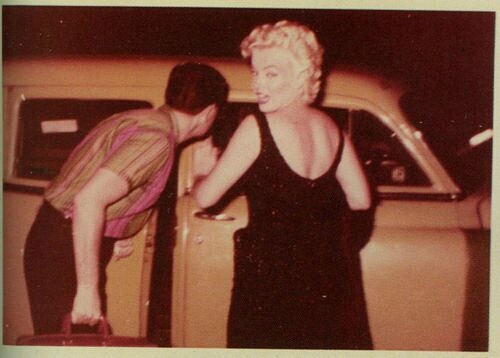 She would often share gems of information and fascinating stories with him, more often than not when they shared a drink together. 'Frieda worshipped Marilyn, she loved her. She wouldn't give up anything after she died,' he said. 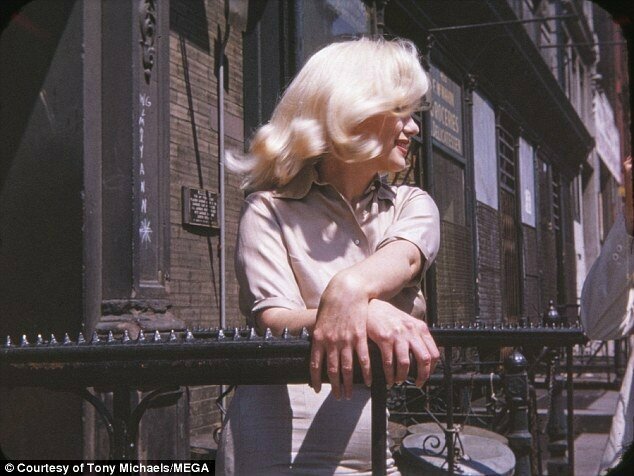 Frieda, originally from Brooklyn, NY, and just four years younger than Monroe, died of natural causes aged 83 in 2014. 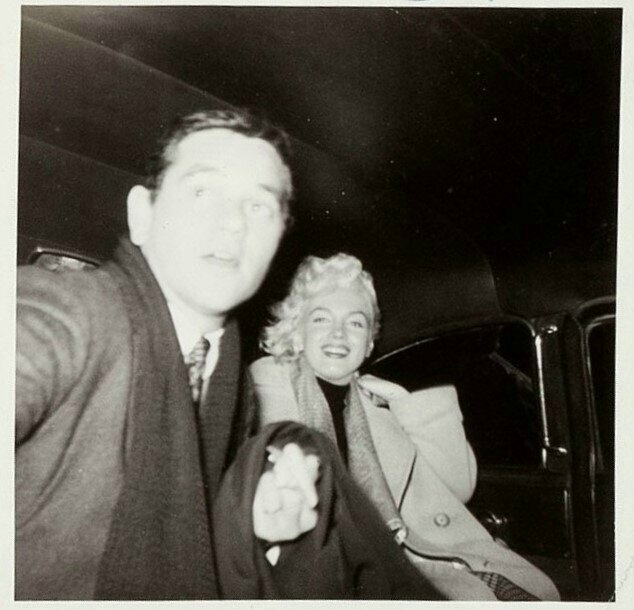 She had retired from Pan Am and came out to Las Vegas where she enjoyed the occasional flutter in the Vegas casinos, loved watching sports and lived a solitary life with her lap dog Bobby, who died before she did. 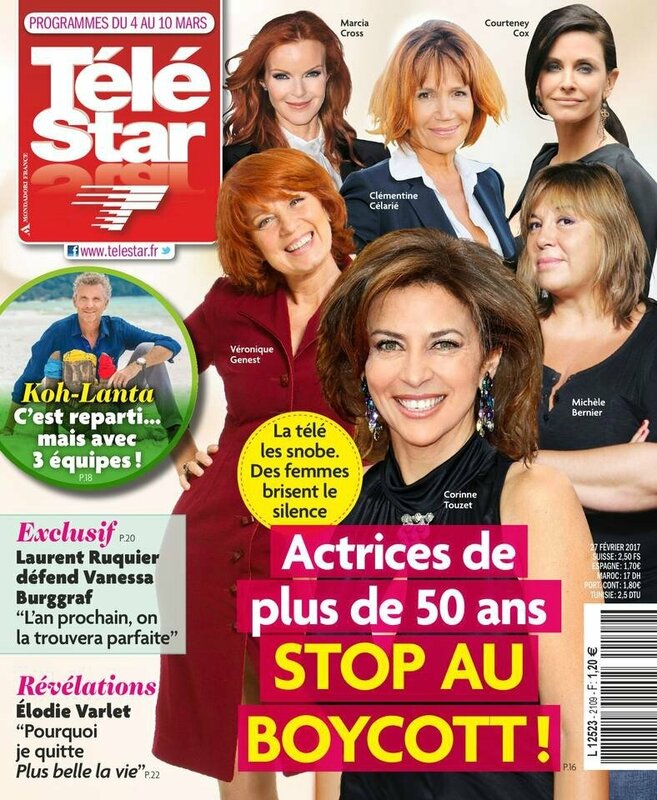 Elle assiste à la pièce "The Skin Of Our Teeth" à l'ANTA Theatre. She attends the play "The Skin Of Our Teeth" at the ANTA Theater.